You are invited to ring in the holidays with one of the largest parties of the season -- our 8th annual IVY Entertainment Holiday Party at Station located at W Hollywood. 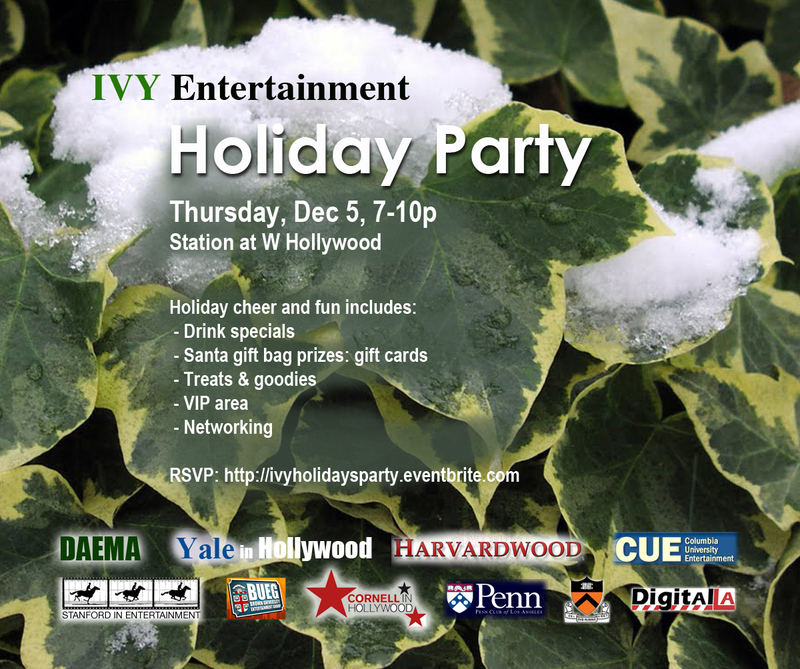 This year we will be celebrating holiday cheer with alums and friends in entertainment from Yale, Brown, Columbia, Cornell, Harvard, Stanford, Princeton, U. Penn, and Dartmouth -- to help you expand your network! This year's party will be sponsored by Ameriprise Financial Services special thanks to Michael Persaud and Alexander Harris. We have also invited Digital LA to expand your network in the digital space. 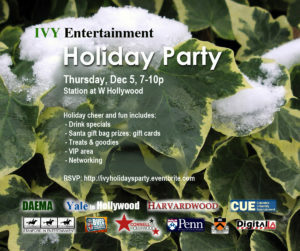 Station will be offering IVY Holiday drink specials. 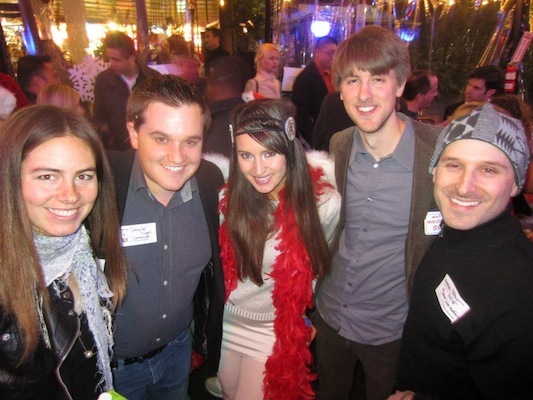 Our guest list includes industry professionals from CAA, Sony Pictures, Paramount, ICM, WME, WB, ABC, and CBS. Step into the hottest new hideaway at W Hollywood’s exclusive outdoor oasis, STATION HOLLYWOOD. We'll have fun while sipping cocktails on the beautiful outdoor patio. Drop your business card off for our FREE card drawings for gifts including clothing, iTunes gift cards, and more. 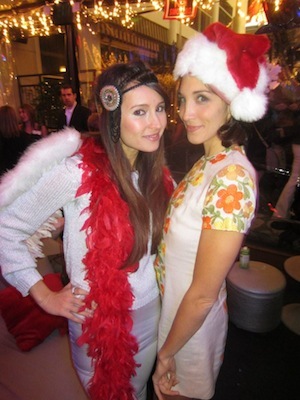 Wear your holiday gear. Free sweets and goodies at the door. Located just outside of the Living Room and adjacent to Hollywood Boulevard. 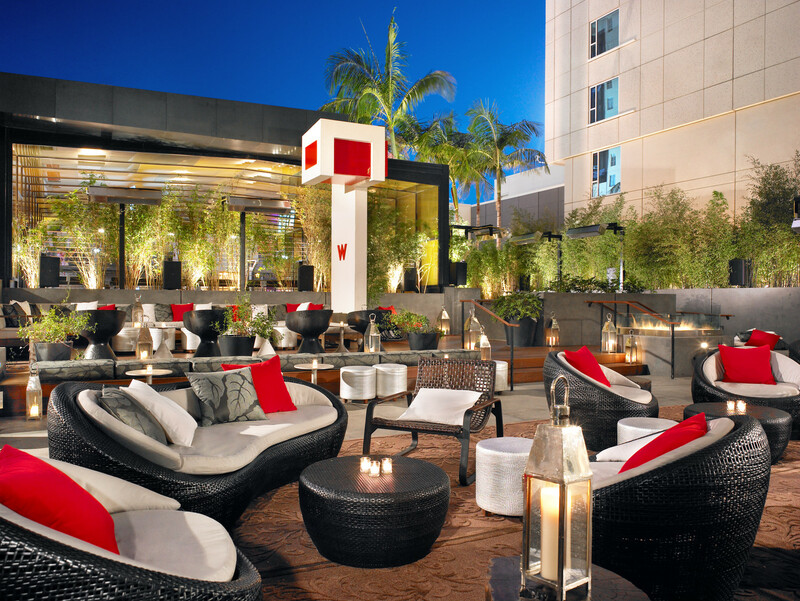 Station Hollywood, the outdoor lounge at W Hollywood features intimate lounge seating, fire pits and an outdoor bar to cater to your every desire. VIP registration includes preferred check-in, access to VIP cabana area, and appetizer spread. Last year was at capacity with over 400 attendees, so secure your spot now at this massive event and don't miss out on THE holiday party of the season.